Company car drivers who are resident in Scotland will be hit by larger increases in Benefit-in-Kind rates from 6 April, as new income tax rates are implemented. Set to add to the fleet administration burden, the new rates – which come into effect as BiK rates rise in the UK – will bring a new five-band structure compared with the three-band regime that remains in effect in England, Northern Ireland and Wales. In Scotland, the basic rate band now splits into three – starter, basic and intermediate – to which is added the higher rate band and the top rate band. Applicable income tax rates are: 19%, 20%, 21%, 41% and 46%. The new system means that middle income – those earning £24,001 and above – and top earners face a 1% rise in income tax versus employees in the rest of the UK. Income tax rates for the remainder of the UK are: 20%, 40% and 45% depending on earnings. 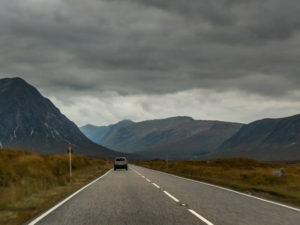 The move means that the majority of company car drivers living in Scotland will face larger increases in Benefit-in-Kind tax, with only a small number of employees on lower salaries expected to escape the double hit of the income tax rise and BiK rise.